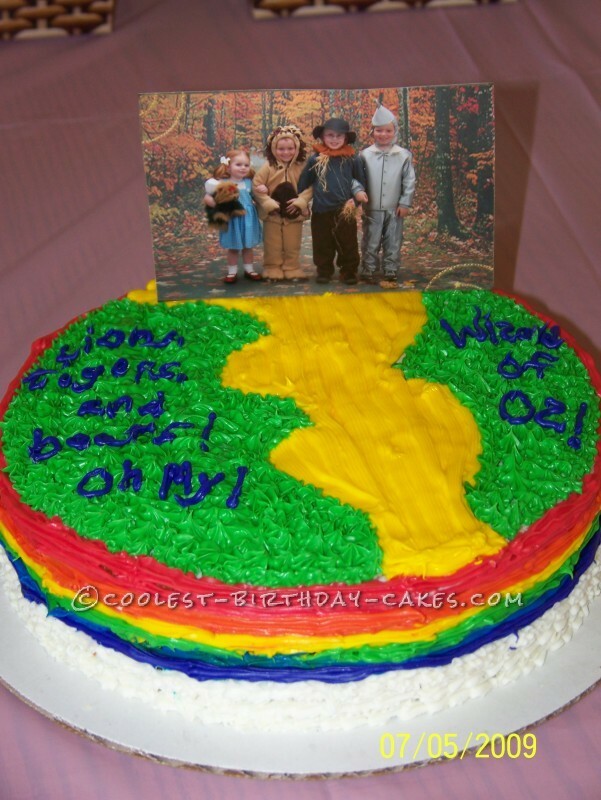 My mom loves Wizard of Oz and for her birthday my kids and I threw her a Wizard of Oz themed party. 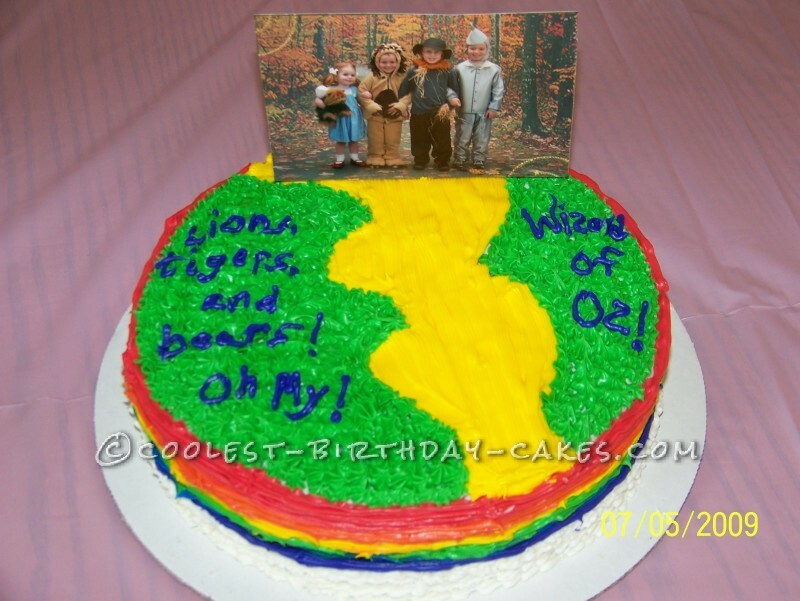 We also got our kids’s pictures and niece and nephew pictures taken in each character of the movie, which was part of her present. 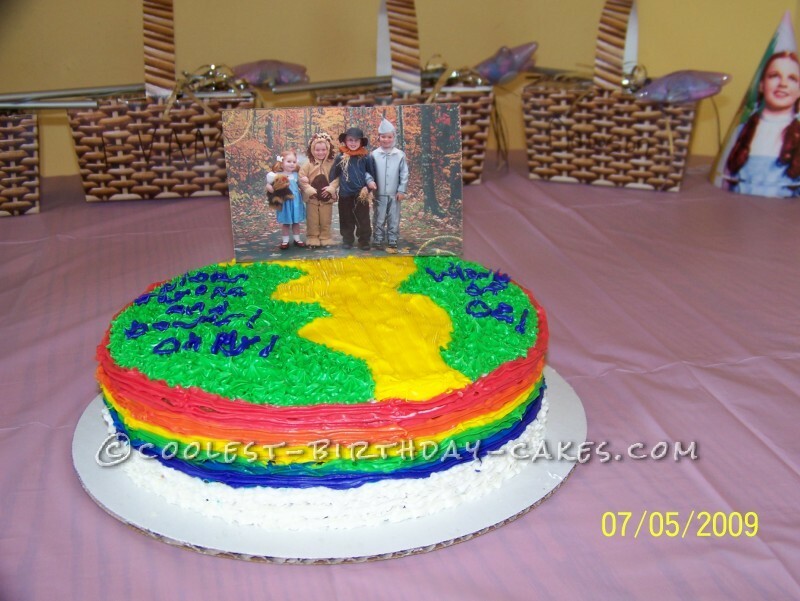 I used this picture as the characters on the yellow brick road of my cake. It was adorable and my mom loved it.